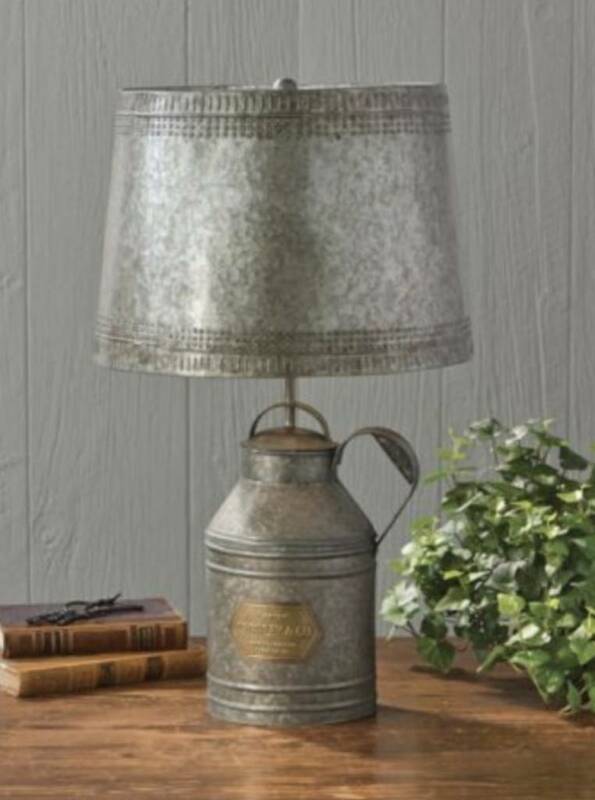 Antique Milk Can Lamp with Tin Shade brings a finishing old time look to your bedroom or to a side table. You'll love this reproduction of an antique tin milk can used at the turn of the century for storing milk. Shade features punched tin detail. Thank you for choosing to shop with us and considering this Antique Milk Can Lamp with Tin Shade! 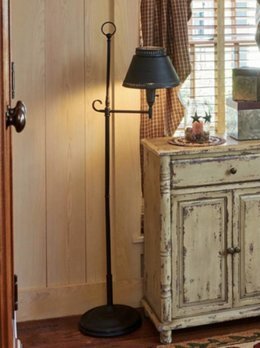 This black Antique Iron Floor Lamp with Shade is an adaptation of a vintage tole floor lamp with the addition of punched details on the shade and a textured black finish.